Saris Ramsey enjoys hauling cattle in a Western Star 4900. The trucker reveals why he is happy behind the wheel of the 4900 truck. When we caught up with Saris Ramsey, he was behind the wheel of a smart looking Western Star, owned by S & C Ayre Livestock Transport, which is based in Taroom, Queensland. However, although he enjoys the job, Saris’ real passion is for bull riding. Saris recently returned from the United States to try his luck on the eight-second ride events. "It’s very big over there with a big circuit and a very big following," Saris smiles. "I love it but you can’t ride bulls forever." While he may not get the same adrenalin rush from truck driving, he’s happy he’s still working with cattle. "Steering cattle and the open road … it’s pretty good this sort of work. "I’m getting the best of both worlds; I love trucks and cattle and I get to see all over the place," he smiles. The 20, 30 and 40ft (6.1, 9.14 and 12.19m) combination is starkly different than when Saris commenced work in the industry. He went into business around eight years ago with his father-in-law, Rick Pearce, buying a Western Star to haul fruit on the east coast. "We sold the truck and, because I had been in tippers all of my life, we bought an excavator and started doing little jobs of our own," Saris recalls. He continued with the earthmoving with the truck and dog, building pools and renovating back yards which naturally meant a lot of confined tight work in small spaces. Saris, however, soon tired of the pressure, the traffic and returned to his favourite rural Queensland town, Cloncurry. "I went straight back to the town I loved and worked for a good friend of mine, Steven Curry of Curley Brothers, driving a road train," Saris explains. "I did a stint up there for seven months but my wife, Kylie was pregnant and she wasn’t doing so well, so I came south a bit and have started working for Scottie," Saris recalls. Saris now lives near Aratula and he says working for Scott and Casey Ayre enables him to return home most weekends. "It is important to look after my family and Scottie does well to get me home." 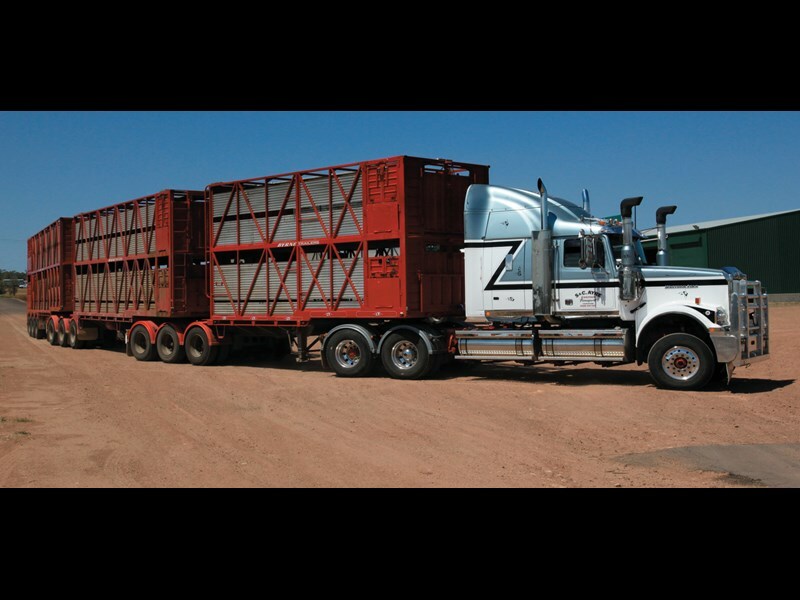 S & C Ayre Livestock Transport have been in operation for three years. As well as trucking, the company is also well known in the Taroom community for sponsoring local thoroughbred horse races. The 4900 is the first long bonneted ’Star that Saris has piloted. He has been in a lot of Kenworths but this is the first long nose he has driven. He’s not sure if he has converted to them yet, but is happy with the extra room in the bunk. While the ’Star is looking pretty good now, Saris explained when he got the truck, it needed a good polish and some elbow grease. "I had it home for two or three days and went right over it. I polished the tanks and cleaned it right up. The insides were given the once over too. I mean, you sit in it every day and I don’t want to sit in a pile of dust," he says. "It’s just the way I am." The ’Star has a Cummins Signature under the bonnet and is set at 600hp (441.3kW). The trailer combination is the first such unit that Saris has driven and he’s says it tracks and handles well. "They are much easier to hook and unhook," he smiles. "I’m still getting used to them but I think they’re pretty good. "It’s all about deck space and looking after the cattle. The volume loading policies do certainly assist in looking after the freight." The three-trailer combination is not permitted down the range so Saris can only take two trailers to his home, which is on a 100-acre block. He says there’s plenty of room to "have some fun" and he’s able to park the truck. It’s also not too far from Toowoomba. 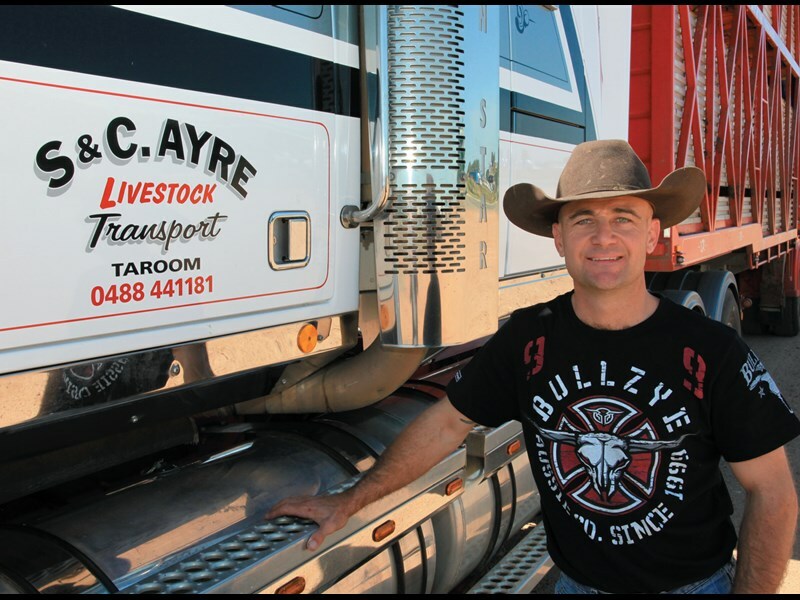 When he was working for Curley, Saris went all over the state as well as up to Darwin, but with S & C Ayre Livestock Transport he can stay closer to home. "We do a lot of work out of Blackall and down to Longreach — that’s the reason I love this job," he says. "I get home quicker and more often." Ayre’s have four trucks in the fleet — two hauling stock, one working in the gas industry carting pipes, while the last one hauls grain. "Scottie has his finger on a few pies and you need to these days," Saris explains. "It’s a good industry but it’s getting tough to make a dollar in, so diversification helps." Saris and Kylie are now proud parents of a baby boy, Colton. Both mother and baby are doing well. However, once things settle down, Saris plans to head back to the United States and the lucrative bull riding circuit. Until then, he is more than happy making the mile behind the wheel of the Western Star. Find Western Star 4900 trucks for sale. Search for new Western Star 4900 specs.